Seven restaurants at Caesars Entertainment Las Vegas resorts sold more than 1,300 meals and raised more than $8,900 during the inaugural spring edition of Las Vegas Restaurant Week. 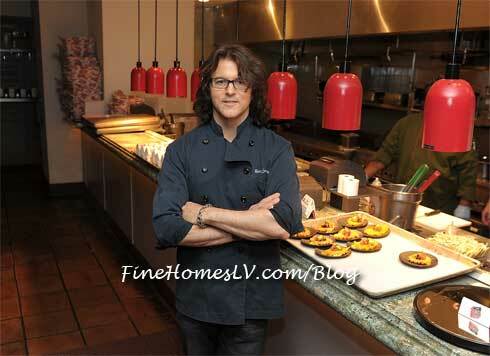 For a one week period lasting Feb. 27 through March 4, 2012, locals and tourists were given the opportunity to order from designated prix-fixe menus in some of the best restaurants in Las Vegas while simultaneously helping Three Square’s fight to end hunger in Southern Nevada. Caesars Entertainment’s seven participating restaurants included Mesa Grill, Serendipity 3 and Payard Patisserie & Bistro at Caesars Palace; Martorano’s at Rio All-Suites Hotel & Casino; KGB: Kerry’s Gourmet Burgers at Harrah’s Las Vegas; Eiffel Tower Restaurant at Paris Las Vegas; and Strip House at Planet Hollywood Resort & Casino. These participating restaurants offered guests exclusive three-course menus specially created for Las Vegas Restaurant Week at a discounted price of $20.12, $30.12 or $50.12. Five dollars from every meal purchased was donated to Three Square Food Bank, with the exception of Strip House, which donated $4 from the purchase of every meal. For every $1 raised, Three Square is able to provide three meals for hungry children and elderly persons in Southern Nevada , resulting in a total of almost 27,000 donated meals from Caesars Entertainment restaurants. Highlighted by their unique blue corn pancake stuffed with barbecued duck and the Sixteen Spice Chicken, celebrity chef Bobby Flay’s Mesa Grill at Caesars Palace served 1,191 Restaurant Week menu meals that single-handedly provided more than $5,950 to Three Square . This equated to more than 17,865 meals and represents more than half of the total contribution by Caesars Entertainment. “Our servers and team of dedicated staff are delighted to be involved in Restaurant Week and proud to remain active contributors in Three Square’s battle against hunger in Southern Nevada,” said Jean Pierre Francois, general manager of Mesa Grill at Caesars Palace. A Restaurant Week participant for more than three years, Mesa Grill was awarded first place during the fall 2011 two-week long event, praised for raising the most money for the Three Square organization in its category. 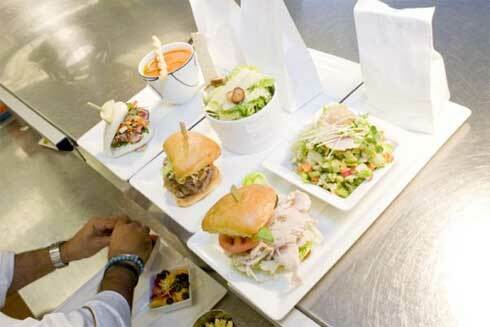 This spring, Mesa brought back crowds with special lunch ($30.12) and dinner ($50.12) menus.